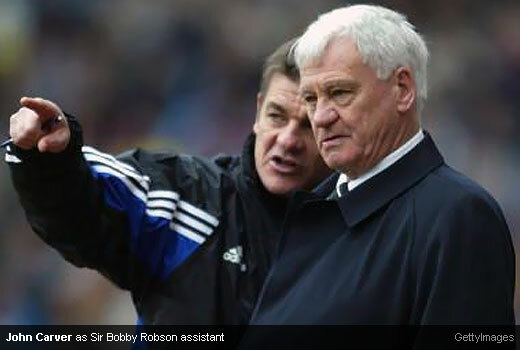 Newcastle United reveals the latest addition to the club managerial staff with the return of our previous assistant manager during Sir Bobby Robson's era, John Carver, one of the exiled Geordie is home again. John Carver back to St James' Park as Alan Pardew's right man on an initial short-term deal, and if things go well, he can get a longer term appointment in the summer. 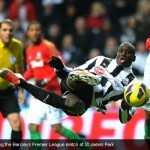 I believe John will do as good as he has done before alongside the great Sir Bobby Robson. Carver, who recently work as Gary Speed's deputy at Sheffield United said he was “proud and honoured” to have been re-hired. “I understand how much the club and the results mean to these wonderful fans and I am delighted to have the opportunity to assist Alan in delivering them the success they deserve.” John said as quoted from the Telegraph. Born in January 16th, 1965 in Newcastle upon Tyne. John played for Newcastle United in 1983–1985, but never made senior appearance. He left the Toon to play for Cardiff City from 1985–1986 with 13 appearances. Following Robson's sacking in September 2004, he was appointed as United caretaker and guided the Magpies to a 3-0 win against Blackburn Rovers. In July 2005 he joins Leeds United as the club first team coach, replacing the departed Adrian Boothroyd, and became a caretaker manager for the second time in his career when Leeds United fired Kevin Blackwell. Carver left Leeds United 23 October 2006 and rejoined Kevin Blackwell as his assistant manager in Luton Town. He later travelling to the US Major League Soccer as Toronto FC head coach from 2008–2009 before return to England as assistant head coach at Plymouth Argyle until 2010 where he appointed first team coach at Sheffield United. Carver once again apointed as caretaker manager at Sheffield United after Gary Speed become coach of the Wales national football team. When Micky Adams was appointed as Sheffield manager on 30 December 2010, Carver left the club. © 2018 Copyright magpieszone.com. All Rights reserved.